With Facebook becoming a very important part of everyday life it is becoming important to keep your profile looking the best. We try to upload the best photos in which we look the most handsome or pretty but sometimes you get tagged in a photo by one of your friends in which you do not look so good which is embarrassing and in some cases you get tagged in some unwanted content which will be shown on your timeline for all your friends to see. 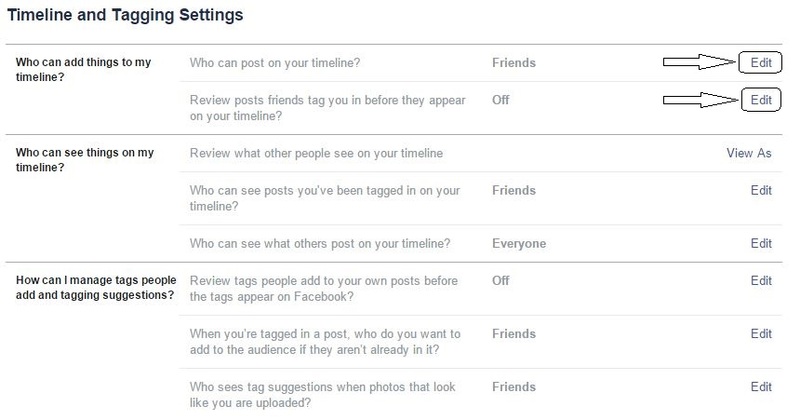 This can be avoided and you can easily Block any friend or Facebook user from posting on your Facebook Wall. In your Facebook account you will be seeing the drop down menu which will appear by clicking on the Down arrow mark present on the extreme top right border of the screen. 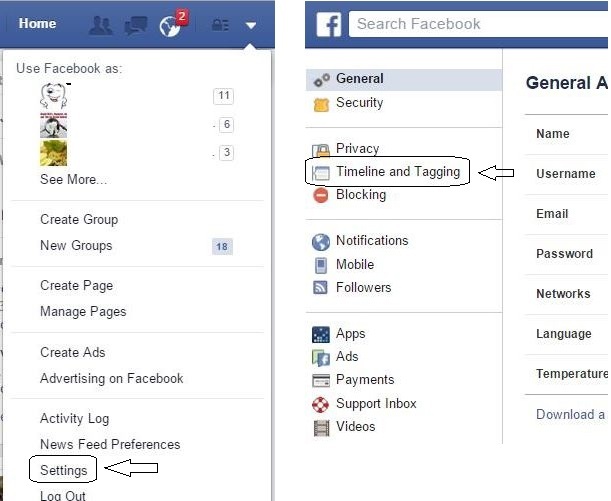 You will be diverted to a new page and here you have to choose the Timeline and Tagging option which will be seen on the left side. Now select “Only Me” in that and Close it. Now only you can post on your timeline and no one else can post anything on your timeline. This setting is really helpful to make sure that no unwanted or degrading posts are being shared on your timeline without your approval or knowledge. There are many instances when some unwanted contact gets posted on your timeline or you get tagged in some post and it will affect your reputation online. Following these simple steps can prevent that from happening.